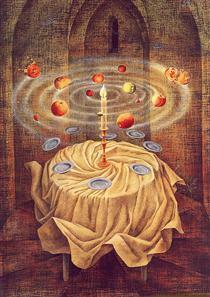 Remedios Varo Uranga was one of the few acknowledged female surrealist painters of the first half of the 20th century. 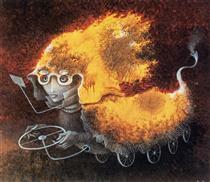 She defied the male dominated artistic world of that era through her unique and peculiar approach to Surrealism. 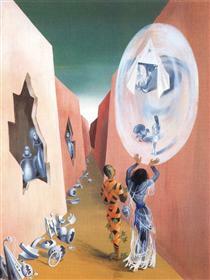 The stepping stones for her original form of Surrealism were set early in her childhood and adolescence, fuelled by a multicultural background and upbringing. Also, the great influence was her father, who instilled some core values in her, such as her ardent perfectionism, and the freedom of thought, which later took shape in her artwork. Varo’s father, an engineer by profession, nurtured his daughter’s artistic potential by mentoring her in developing technical drawing skills. He also opened the doorway to her vivid imagination by presenting her with fantasy and adventure books. 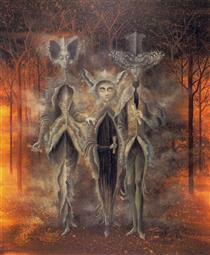 Being influenced in a technical and philosophical manner by her father, and spiritually by her deeply religious mother, Varo was torn between the two worlds. Therefore, she found herself drifting toward Surrealism and adopting it as the style, in which she would express the struggles of her inner world. 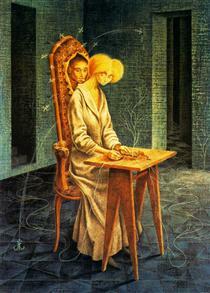 In her paintings, Varo found a safe place to revolt against Catholic practices from her maternal side, which the artist found quite restricting. 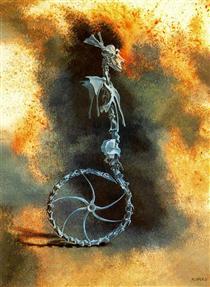 She combined mystical beings and utopic machines together to give birth to her unique and enchanting style. The artist adopted mysticism and the occult as her main theme, and dismissed Christian and religious symbolism (trending leitmotifs of surrealist artists of the time, such as Salvador Dali in his later work, Max Ernst’s Crucifixion or Victor Brauner’s Adam & Eve). 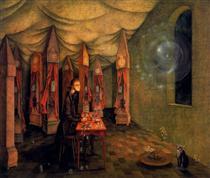 Through her art, Varo expressed her feminist beliefs and her need to oppose the superiority of male artists of that era. In the 1920s and 1930s, female painters were not fully recognized as true artists by the male counterparts and therefore, Varo and her fellow female surrealists struggled to win a place in the spotlight on a scene dominated by men. Throughout her career, viewers can find the recurring motif of the confined woman - an imprisonment of the female characters in dark or isolated spaces, hidden from the outside world. Another symbol that appears constantly is the crescent moon - an element that symbolizes the feminine aspect, and also the shadowy and introverted nature of the painter, who tried to make the viewer feel what it was like to be a female artist in the early 20th century. 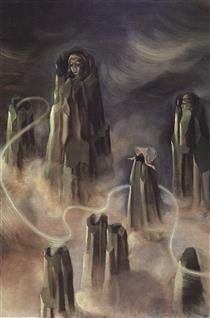 Varo’s signature techniques were a juxtaposition of elements, a fumage (common technique of surrealist artists, such as Wolfgang Paalen and Salvador Dali, that allows the painter to charge the canvas with a mystical atmosphere), a utopic composition, and use of well-balanced colors and contrasts. 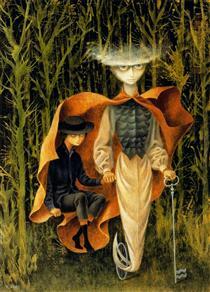 To mark her presence on a canvas, Varo built androgynous looking characters with facial features that resembled her own. By juxtaposing nature versus machine, and feelings versus logic, the artist built a multidimensional world where she could fully express the multiple aspects of herself, interweaving the woman artist, the mystic, scientist, and spiritual being all into one. 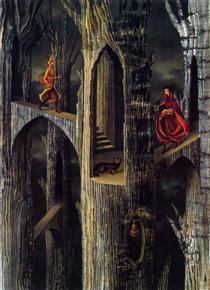 Remedios Varo Uranga (16 December 1908 – 8 October 1963) was a Spanish surrealist artist. Born in Anglès (north of Catalonia), Spain in 1908, she studied at the Real Academia de Bellas Artes de San Fernando, Madrid. 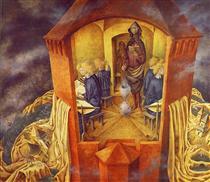 Varo spent her formative years between France and Barcelona and was greatly influenced by the surrealist movement. 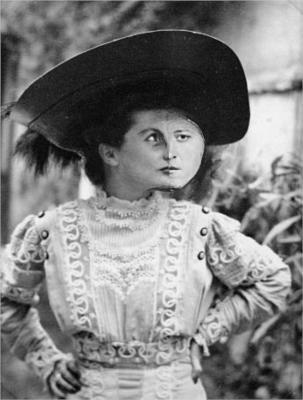 While still married to her first husband Gerardo Lizarraga, Varo met her second partner, the French surrealist poet Benjamin Péret, in Barcelona. During the Spanish Civil War she fled to Paris with Péret leaving Lizarraga behind (1937). She was forced into exile from Paris during the German occupation of France and moved to Mexico City at the end of 1941 when the Mexican president, Lázaro Cardenas, made it a policy to welcome Spanish and European refugees. She died in 1963, at the height of her career, from a heart attack, in Mexico City. She was born María de los Remedios Alicia Rodriga Varo y Uranga in Anglès, a small town in the province of Girona, north of Spain in 1908. Her birth helped her mother get over the death of another daughter, which is the reason behind the name. 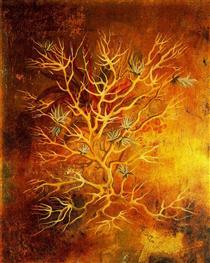 Varo’s father, Rodrigo Varo y Zajalvo, was an intellectual man who had a strong influence on his daughter’s artistic development. Varo would copy the blueprints he brought home from his job in construction, and he helped her further develop her technical drawing abilities. He encouraged independent thought and supplemented her education with science and adventure books, notably the novels of Alexandre Dumas, Jules Verne, and Edgar Allan Poe. As she grew older, he provided her with text on mysticism and philosophy. 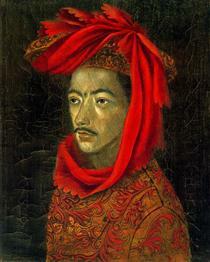 Varo’s mother, Ignacia Uranga Bergareche, was born to Basque parents in Argentina. She was a devout Catholic and commended herself to the patron saint of Anglès, the Virgin of Los Remedios, promising to name her first daughter after the saint. Her father was a hydraulic engineer, and the family traveled the Iberian Peninsula and into North Africa for work. To keep Remedios busy during these long trips, her father had her copy the technical drawings of his work with their straight lines, radii, and perspectives, which she reproduced faithfully. As a child, she read much with favorite authors including Jules Verne, Edgar Allan Poe, and Alexandre Dumas. She also read books about oriental philosophy and mysticism. Those first few years of her life left an impression on her that would later show up in motifs like machinery, furnishing, artifacts, and Romanesque and Gothic architecture unique to Anglès. Varo was given the basic education deemed proper for young ladies of a good upbringing at a convent school - an experience that fostered her rebellious tendencies. Varo took a critical view of religion and rejected the religious ideology of her childhood education and instead clung to the liberal and universalist ideas that her father instilled in her. 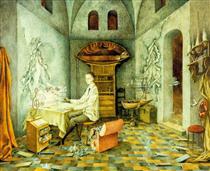 The family moved to Madrid and Varo entered the Escuela de Bellas Artes (1924). 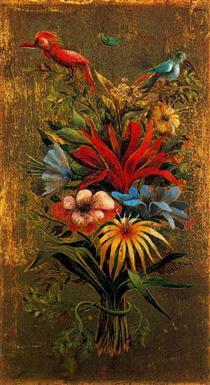 In 1930 she married a young painter named Gerardo Lizarraga in San Sebastián. She married Lizarraga in order to gain autonomy from her family and to continue her career as a painter given that in traditional 1930's Spain, women were only able gain that autonomy from their parents through marriage. The couple left Spain for Paris to be nearer to where much of Europe’s art scene was. 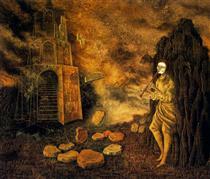 The flautist Remedios Varo ?